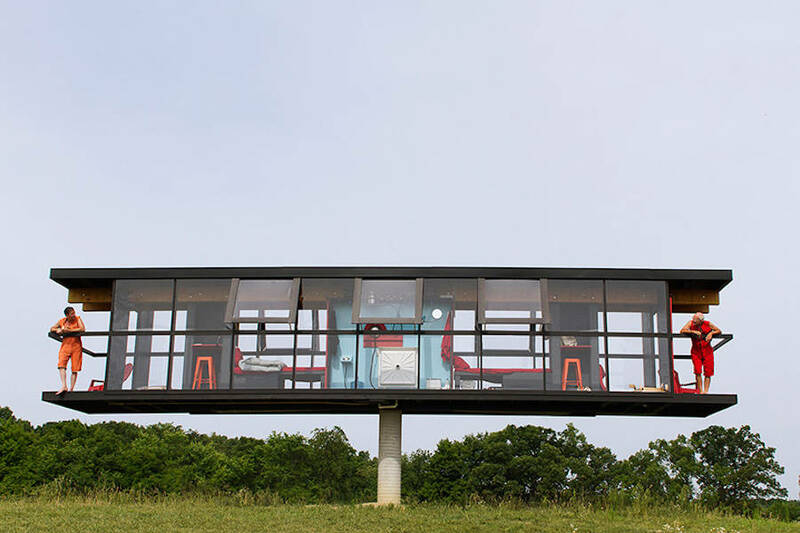 “ReActor” is the latest experimental structure designed and built by artists Alex Schweder & Ward Shelley, commissioned by OMI International Arts Center. 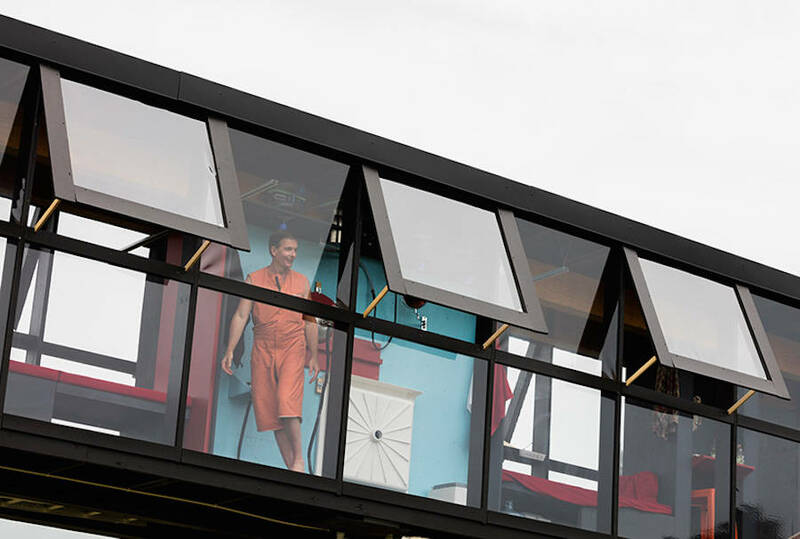 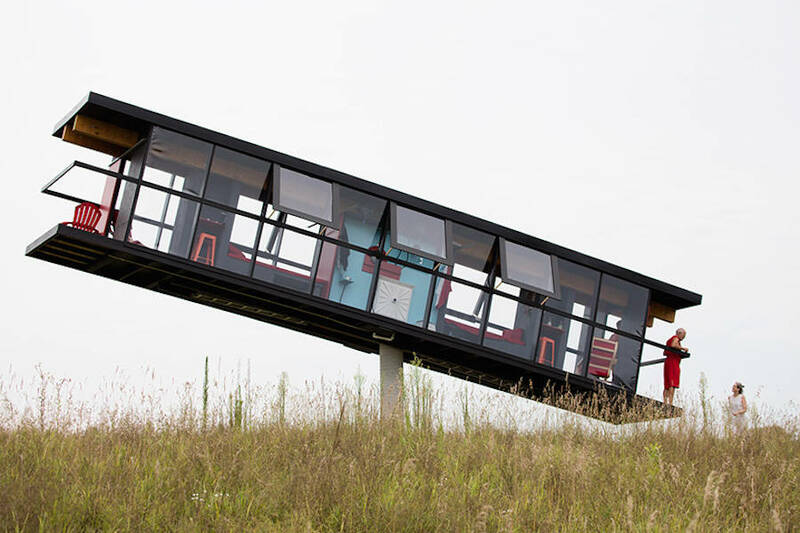 This 44-foot by 8-foot rotating house features privacy spaces to respect the privacy with, for example, two external private balconies at each end of the structure. 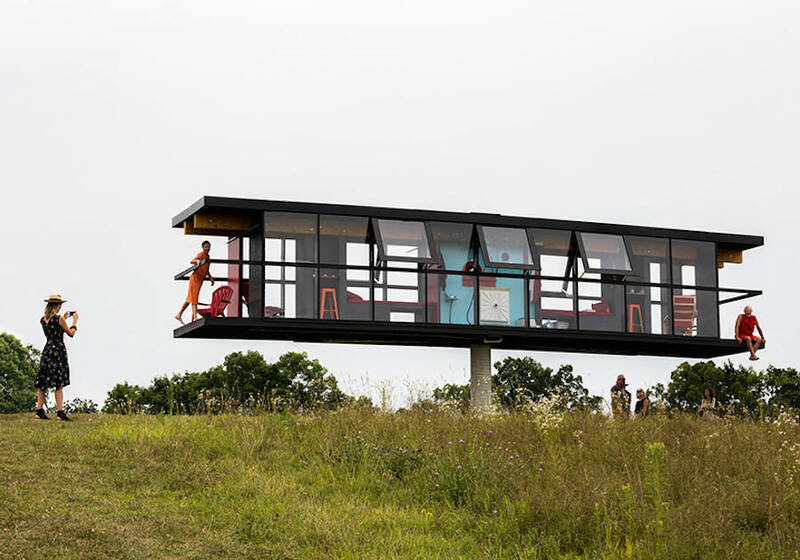 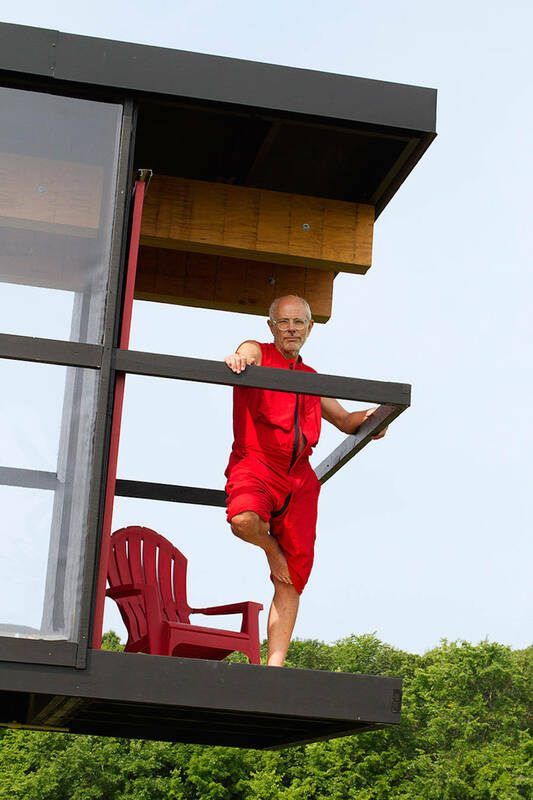 During 5 days, the architect-artist duo lived in this elongated house perched atop a 15-foot (4.5m) concrete column.